Look for reuse opportunities with neighbors or organizations. 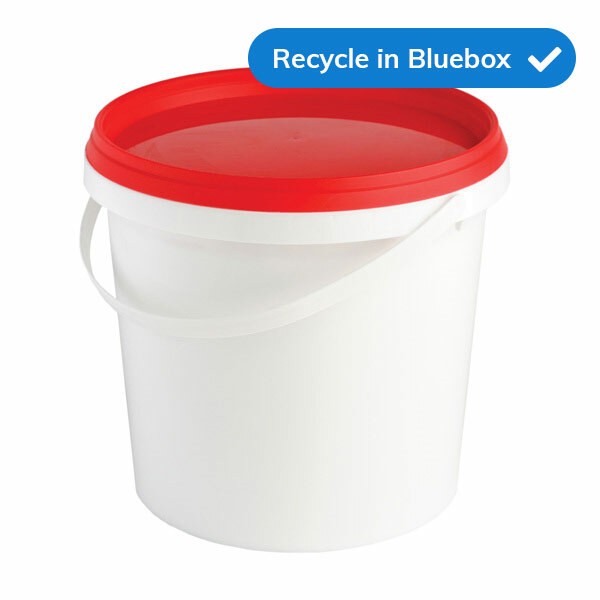 Containers less than 5 gallons or 20 litres can be recycled in your blue box or wheelie bin unless they contained hazardous waste such as pool or spa chemicals. Then they go in the garbage. Make sure to remove all metal handles.